Audit form below is due to the NABJ office by December 1st. The national office will review the materials to ensure that the audit is complete and in compliance. The audit can also be mailed; downloadable forms are available at http://nabj.site-ym.com/?ChapterForms. President's Full Name *The president and vice president(s) must be FULL NABJ members at the time of chapter renewal. The remaining officers must be NABJ members. Board Member Roster *Roster should include full names, mailing addresses, and emails for all officers (Vice President(s), Treasurer, Secretary, and Parliamentarian). Note: The president and vice president(s) must be FULL NABJ members at the time of chapter renewal. The remaining officers must be NABJ members. Membership status will be verified. Word document format requested. Chapter Member Roster *Roster should lists each members' name, company name, address, business and home telephone numbers, fax number and e-mail. Word document format requested. 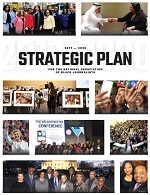 NABJ Committees/Task ForcesPlease provide a list of the names of any chapter members who serve on NABJ committees and task forces. Incorporation LetterIf the letter has already been submitted, you do not need to send another copy. Chapter NewsletterIf your chapter publishes a newsletter, please include a copy of the most recent issue. Audit Requirements *Check all that apply. Is an incorporated entity Incorporation is an audit requirement? Has obtained 501(c)(3) status (optional). 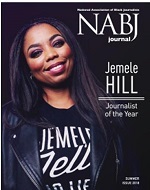 Two-thirds of the chapter’s membership are eligible for full membership in NABJ. President and Vice President are full NABJ members. The remaining officers must be NABJ members.